On Tuesday, the last day of school before Thanksgiving break Stella's kindergarten class held a show what you know performance followed by a Thanksgiving feast. The presentation began with the kids performing some of the songs they have learned thus far about the Equator (an imaginary belt around the earth) and Seven Continents. After the two songs, the kids talked about the pilgrims that settled New England, King Ferdinand, Queen Isabelle and Squanto. Stella did a great job saying her line unassisted. 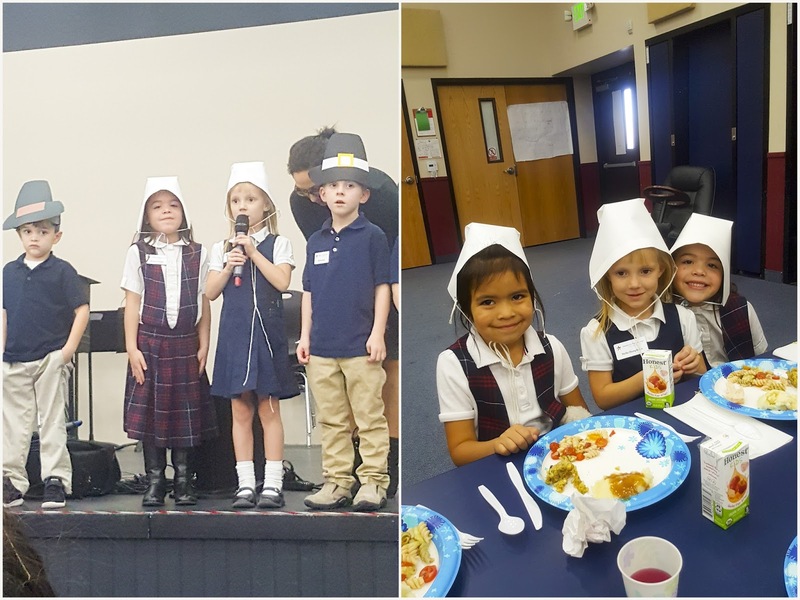 Afterward, the kids got to eat a traditional Thanksgiving meal as a class. There was so much food, their plates were full. They even got to sample some foods we usually don't eat when we celebrate the holiday such as cranberry sauce. 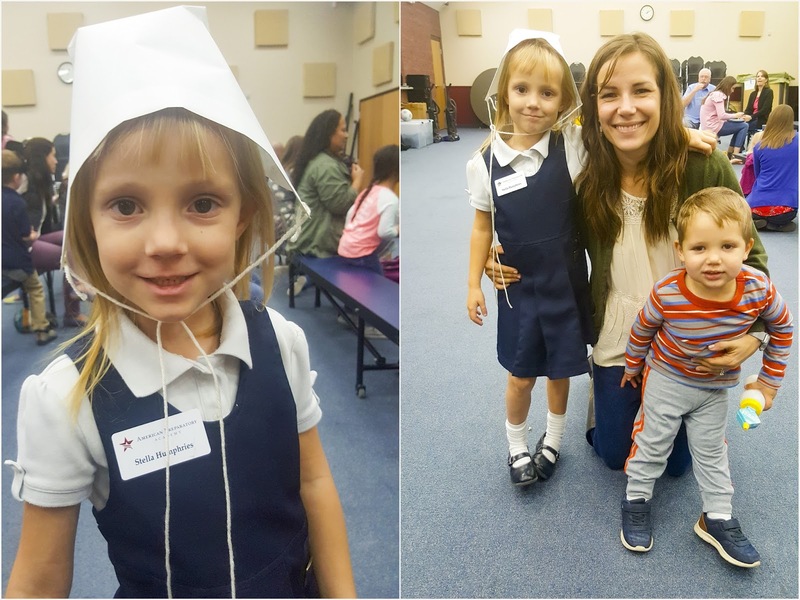 Stella has lots of friends at school, but her two favorite people are Elena, who sits next to her in class (left on the table photo), and Giuliana (right on table photo) who is the younger sister of one of Emilia's good friend, Danna Ozuna.